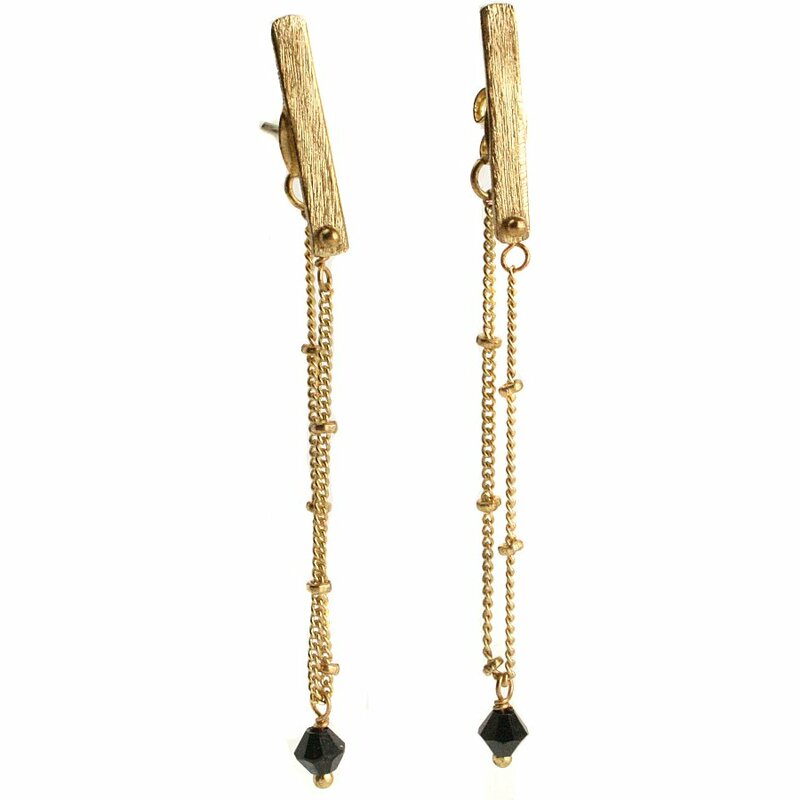 These fair trade gold coloured earrings feature a bar and drop chain design with a small stone. Made by talented artisans the gorgeous drop earrings are an elegant finishing touch to any outfit this season. Made with gold coloured metal, the earrings have nickel free hooks. 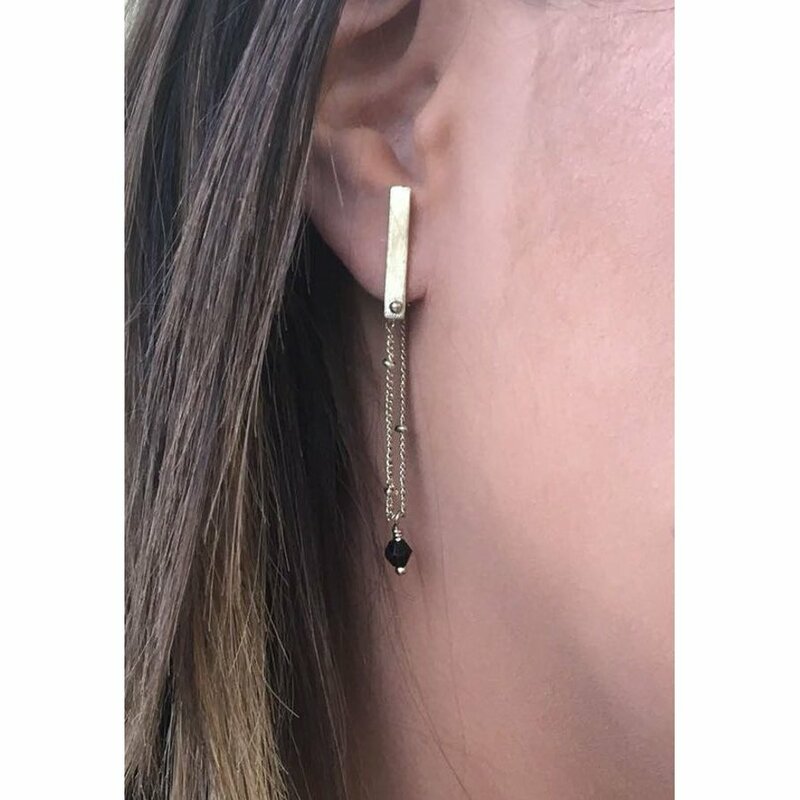 The bar and chain drop earrings are made by TARA Projects, and organisation founded in 1973 to help struggling artisans in Delhi find markets for their goods. TARA projects have created opportunities for home-based craftsmen to sell their goods, generating steady work and income. The organisation also funds school for children and literacy centres for adults. Please Note: Due to hygiene reasons we cannot accept returns of pierced jewellery. The Gold Coloured Bar and Chain Drop Earrings product ethics are indicated below. To learn more about these product ethics and to see related products, follow the links below. 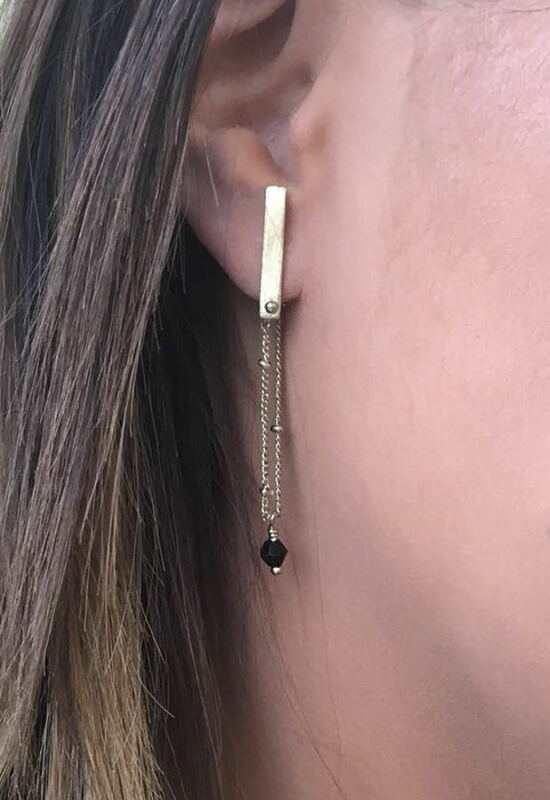 There are currently no questions to display about Gold Coloured Bar and Chain Drop Earrings.